Dead Sea Apes are reviewed in this month’s Optical Sounds. 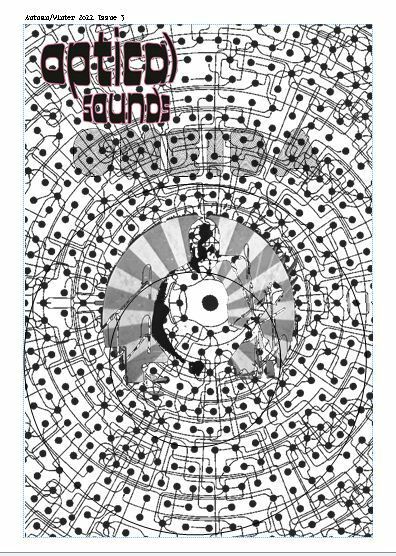 Optical Sounds is a great fanzine that covers all things psyche/spacerock/drone/kraut. This month’s issue features Oneida, White Hills, Black Angels, a great feature on the godlike Rocket Recordings, Moon Duo, (the excellent) Hookworms and your favourite instrumental primate 3 piece. The limited edition CD of Soy Dios is now sold out, with the final copy going to Ioannis in Athens, but the download is still available at Bandcamp – now with no minimum price. We will have some new material out soon – the long-awaited Astral House EP is nearing completion, as is a special project for Deep Water Acres, and we’ve just heard that our rendition of Land Of The Sun featuring Gabriel Minnikin will be included on the next Fruits de Mer album, a double LP entitled Keep Off The Grass. We are now down to our last copy of Soy Dios. Its nice to know that people out there like us. We have sold copies all over the world, from Portugal to St Lucia, USA, all the way to Stockport and all points in between. Thanks to everybody who has been kind enough to buy a copy. It is much appreciated. The last copy (#100 of 100) is available on Bandcamp. Keep your eyes and ears peeled for ‘Astral House’ EP which is hopefully due to drop in November – along with a couple of other tasty projects (mentioned in the post below). We should also be doing more live stuff too.